2004, softcover, 185 pp., illustrated. This long-awaited follow-on to Luthera Burton Dawson’s Saltwater Farm comprises two books in one. That classic of Maine coastal memoir, Saltwater Farm, is included in its entirety with all new illustrations. 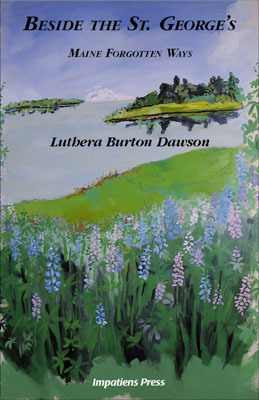 In addition, eighteen new essays, a short story, and a collection of recipes make up In the Slow Lane – all written with Dawson’s evocative gift for describing the cadences of life on the Maine coast in a time gone by.